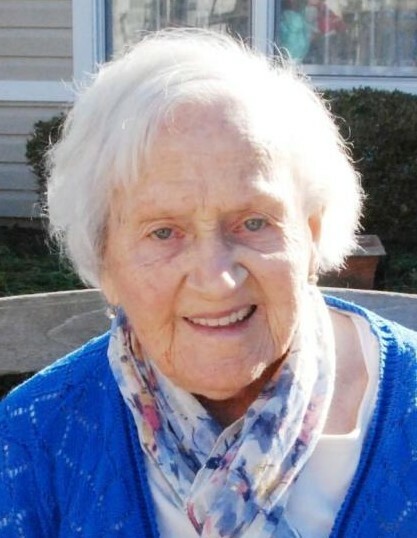 Sarah Elizabeth McIntyre Baldacchino, 92, of Emmitsburg, Maryland, died on October 16, 2018, at HeartFields Assisted Living in Bowie, Maryland. Born November 23, 1925, in Beryl, West Virginia, she was the daughter of the late Lee Jefferson and Sarah Ord McIntyre. She was the wife of the late Joseph Francis (“Doc”) Baldacchino, who died in June 2016. Sarah was a 1943 graduate of Kitzmiller High School, Kitzmiller, Maryland. In 1947, she completed training as a registered nurse at West Baltimore General Hospital. She assisted her husband, who opened a dental practice in Emmitsburg in 1952, until they jointly retired in 1985. A member of St. Joseph’s Catholic Parish in Emmitsburg, Sarah was active in the choir for several years before leaving the area to live with her children when it became difficult to take care of herself at home. Sarah was also a talented artist, who produced many landscape paintings and drawings. Along with her late husband, Sarah was an active volunteer in the Emmitsburg Ambulance Company. She also volunteered for many years at nursing homes in Emmitsburg, Frederick, and Gettysburg. Surviving are three sons, Joseph and wife, Nell, of Bowie, Maryland; Philip and wife, Carol, of Tampa, Florida; and Vincent Baldacchino of Great Mills, Maryland; nine grandchildren, eight great grandchildren, and numerous nieces and nephews. She was predeceased by a sister, Mary McIntyre Orbin, and brothers Harry and Andrew McIntyre. The family will receive friends on Saturday, October 20, from 10 a.m. until the time of a Mass of Christian Burial at 11 ·a.m. at St. Joseph's Catholic Church, North Seton Avenue and DePaul Street, Emmitsburg, with the Rev. Martin McGeough, C.M., as celebrant. Burial will follow in New St. Joseph Catholic Cemetery. Memorials, in lieu of flowers, may be made to St. Joseph's Catholic Church, P.O. Box 376, Emmitsburg, MD 21727 or to Emmitsburg Osteopathic Primary Care Center, P.O. Box 1219, Emmitsburg, MD 21727. Arrangements have been entrusted to Myers-Durboraw Funeral Home in Emmitsburg.